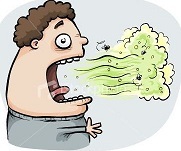 People who eat according to a keto diet sometimes get something that is called keto breath. This means that you will have a bad smell from your urine and your breath that is due to that certain chemicals are released in your breath when the body is burning fat. The body will then release ketones which happens when you get into a state of ketosis. This is what is causing the bad keto breath. Some people use the smell in the urine and the breath as of a way to tell that they are really in the state of ketosis but for other people it can be a problem. You however do not need to be worried since this is very natural and nothing to fear. “Carbohydrates aren’t readily available, so you start to use other fats and proteins as your source of energy, and as a result you are going to get a breath problem” – Kenneth Burrell, senior director of the council on scientific affairs of the American Dental Association. The usual reason for that people have a breath is that they have a bad dental hygiene. This is however not the case with bad keto breath since it will not help with that you brush, floss or scrape your mouth. 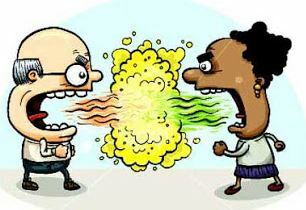 There is no real thing that you can do to actually remove the bad breath but you can of course do some things to hide it. The first tip to help with the bad keto breath is to use mouthwash or sugar-less chewing gum. There is however still a chance that the bad breath might come through even this but at least it will help hide it. You can also eat some sugarless mints to help hide the keto breath. Make sure that whatever you use do not contain any carbohydrates since that will impact your diet progress. Another option is to change your entire diet but for most people that is not a valid option. You could also try to drink more water since it will wash out pieces of food that you might still have in your mouth. These small pieces of food in your mouth might help to increase the bad breath. If none of these tips help you to get rid of your keto breath then you could as a final solution try to contact a doctor to see if the bad breath depends on other reasons. This entry was posted in Information and tagged keto bad breath, keto breath, keto breath cure, keto diet bad breath, keto diet breath on July 30, 2013 by Johan Bengtsson.